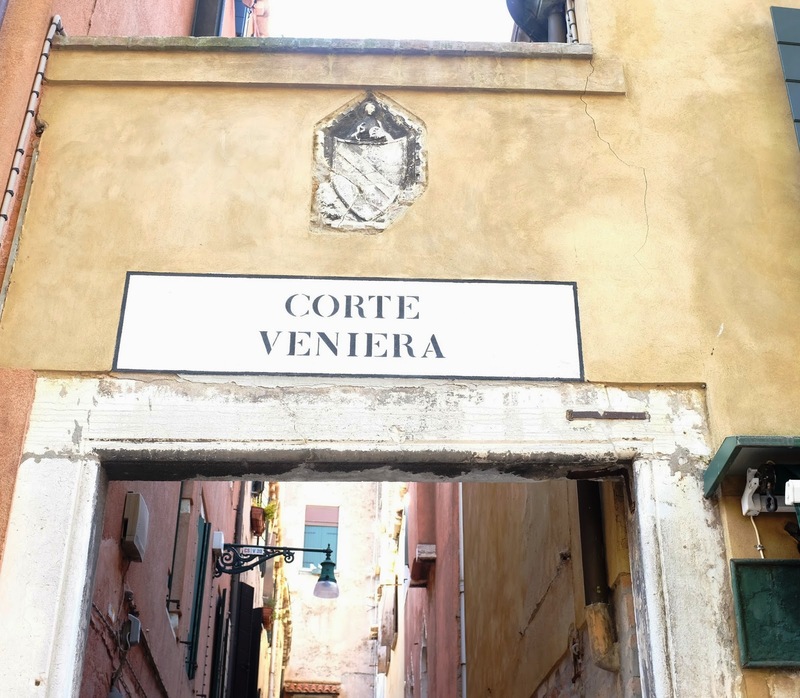 When I was last in Venice, I was trying to document all the places where I walked with as many photos as possible, including of the related nizioletti - so called 'little sheets' of white labels painted with street names and framed by a thick black border. 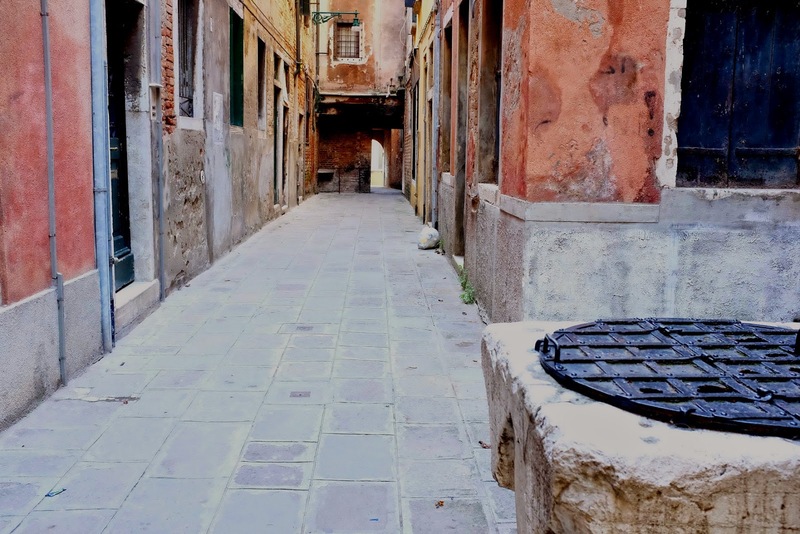 On my first morning, I walked from my accommodation at Alloggi Barbaria (you can read Fausto's terrific blog here) to nearby Campo San Zanipolo to the Rosa Salva bar for a warm pastry and excellent coffee and then explored the Corte Veniera nearby. Here's a glimpse of the Corte Veniera - it ends in a canal and has its own covered well-head. 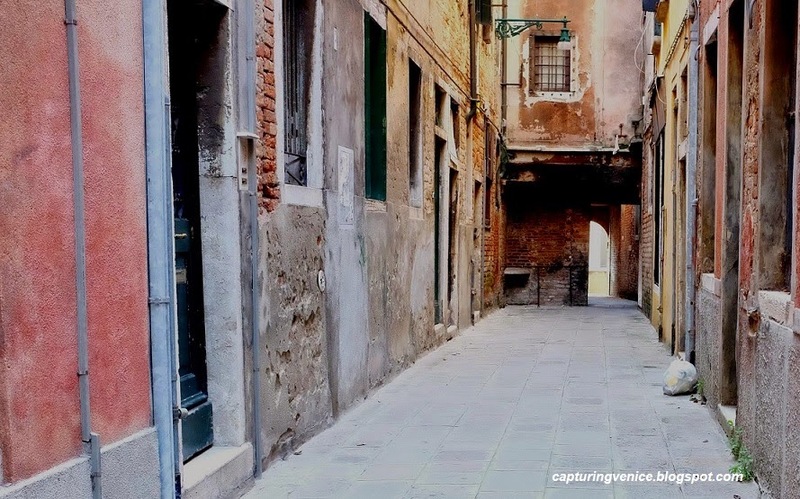 That area, as so much of Venice, is captivating. I'm glad you stayed at Fausto's B&B! He is such a nice person, and passionate about his city.